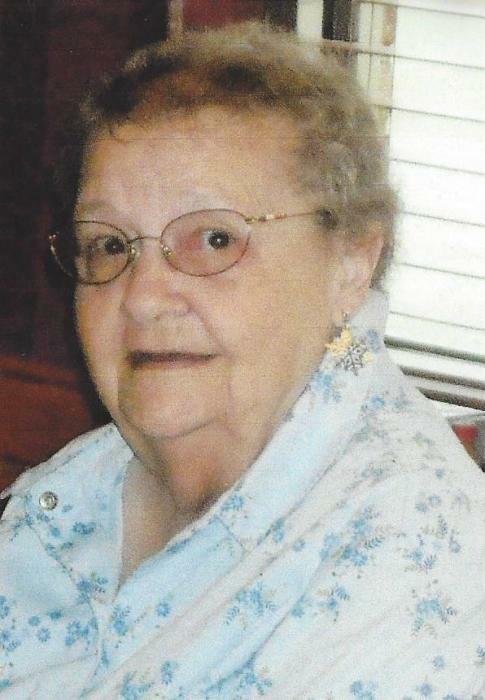 Tressia Loretta Jean Dunn, 89, of Greenup, IL passed away at 12:14 PM on October 10, 2018 at Sarah Bush Lincoln Health Center. Funeral services will be held at 2:00 PM Sunday, October 14, 2018 at the Barkley Funeral Chapel in Greenup. Visitation will be from 1:00 PM until service time on Sunday. Burial will be in the Aten Cemetery in Hidalgo, IL. Tressia was born on November 13, 1928 in Robinson, IL to Ross and Rhoda (Shaw) Keller. She married Gene Dunn on March 30, 1946 in Henderson, KY. Surviving is her husband; three sons Dave Dunn of Greenup, Dan Dunn of Greenup and Rob (Tammy) Dunn of Toledo; eleven grandchildren; fifteen great-grandchildren; three great-great grandchildren; and sister-in-law Thelma Keller. She was preceded in death by her parents and brothers Perry and Jim Keller. Tressia worked at Ettelbrick Shoe Factory for 30 plus years and was a member of the Pleasant Valley Church. She was an election judge for many years. In lieu of flowers memorials may be made to the National Breast Cancer Foundation. Online condolences can be expressed at www.barkleyfuneralchapels.com.